It hasn’t always been this way for Tom Brady, and certainly not for a Patriots team so used to winning and so used to being fawned over as one of the legendary teams in sports history. No, there have been plenty of doubts expressed about the worthiness of this year’s team and about Brady himself, who showed some signs through much of the season that his 41-year-old body was starting to betray him and that the end was closer than he’d expected. There was an eight-game stretch in which he threw only nine touchdown passes and the Patriots went 5-3, wobbling just enough to lose out on home-field advantage throughout the AFC playoffs. There were suggestions that his reign as the greatest quarterback of all time was nearing an end, and so was the Patriots' dynasty. But here he is and here they are again, where they’ve been so often in the past 18 seasons: on the verge of winning a championship. 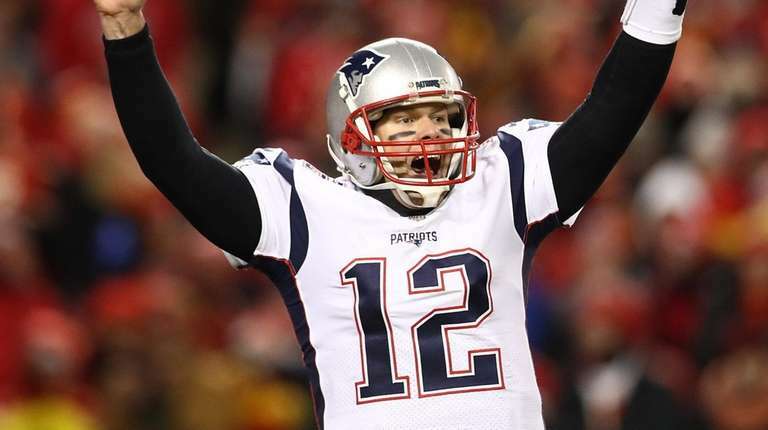 Brady and the Patriots overcame the favored Chiefs and 23-year-old quarterback sensation Patrick Mahomes on Sunday night, outlasting the AFC West champions, 37-31, in overtime. They earned a ninth trip to the Super Bowl in those 18 seasons and have a chance to win an unprecedented sixth title. It is a third straight trip to the Super Bowl for Brady, but this one might be the most special of all, given that the Patriots had to win on the road in the AFC Championship Game after two previous losses to the Broncos in Denver. Brady was as emotional as he’s ever been after driving the Patriots 75 yards for the winning touchdown on the first possession of overtime. That followed a thrilling fourth quarter in which the teams totaled 38 points and had four lead changes. But at the end, as he’s done so many times before in his legendary career, Brady survived and advanced. There were some iffy moments against the Chiefs, including a first-half interception on a pass in the end zone intended for Rob Gronkowski and a fourth-quarter pick that caromed off the hands of Julian Edelman. But Brady made enough plays and the Patriots’ more run-centric offense ground out 176 rushing yards and four touchdowns to vanquish the Chiefs. 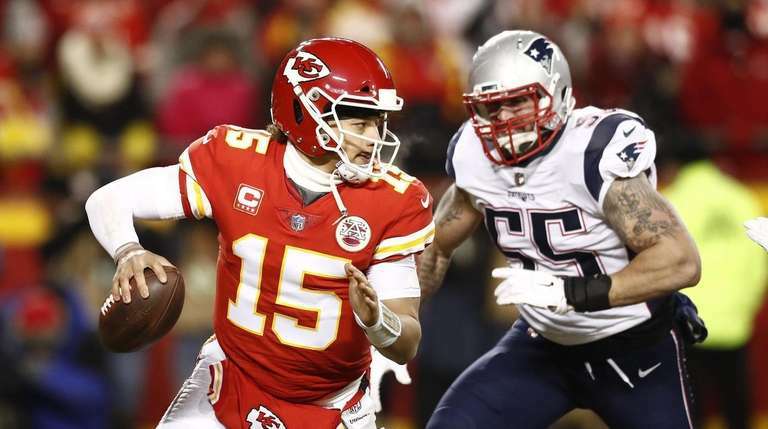 After outlasting Mahomes, who did a terrific job in rallying the Chiefs in the second half, Brady now stands ready to face a Rams team that reached the Super Bowl under wunderkind coach Sean McVay with a 26-23 overtime win over the Saints on Sunday. It was Brady’s win over the Rams in the Super Bowl after the 2001 season that started this unprecedented run, and the quarterback now has a chance to come full circle by becoming the first player in NFL history to win six Super Bowl rings. He got in position by winning one of his greatest challenges at Arrowhead Stadium, where a raucous sellout crowd provided an intense atmosphere. It is an amazing run for one of the most gifted athletes in the history of pro sports. There’s still one more to go before Brady can truly allow himself to celebrate.